We found out after he arrived that Max had been abused at some point in his life. (Before he was abandoned) He spent the first two years with us under blankets and beds and generally hiding from everyone and anything. I worked up a relationship with Max using treats and brushing. But anytime Ralph tried, he would run. We think it was a man who abused Max. Little by little we've gained his trust. And now, Max spends the evenings with me in my recliner, joined at my hip, and loving every moment! He is even beginning to tolerate other people in the house and especially liked one of our In-Laws, Hugo. I'm not sure if Hugo noticed it or not, but Max would watch Hugo intently - and not run when he tried petting him. So, we are making progress these five years later. Max still won't sit with Ralph in Ralph's recliner, but he will sit with Ralph in MY recliner. (It must be a magical recliner!) And Max will sleep next to me in the bed at night. He and his buddy, Shadow, are glued right up next to me making it almost impossible to get out of bed in the middle of the night. All is fine except when they start a game of "Bitey-Chew" with each other and start squealing, on me, at 3 in the morning! I'm glad we could provide Max with a warm, safe place to live. I'm sure he doesn't realize that he's really given us a lot more in return. A Rainy Day in the Arizona Mountains! Today was a great day and I got a lot done this morning - cleaning out the barn on the sheep's side and moving things around a bit in the feed room. As I was working I noticed that it wasn't quite as bright out as it had been when I started. When I finally took the time to look up from under the brim of my work-hat I saw pitch-black clouds headed my way. Now, we've lived in Arizona long enough that I know if I see clouds that dark headed MY way, I'd better finish up what I'm doing quickly and either head for the house or stay in the barn. I opted for the house. 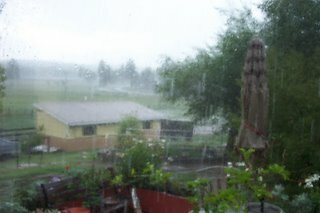 No sooner did I get in and get some lunch made than it started to pour! The picture above is out our front sunroom looking out towards the barn. I had sheets of water coming down the windowpane. But I can't really complain about any of the rain we've had this year as we've needed every drop we can get. Standing there looking out, I did wonder though...soon it won't be rain, but snow. And that our first frost date of September 15th is coming upon us very quickly. Good thing the potatoes are ready for harvest! Everyone is doing better, but one of the cats, Shadow, had a bad reaction to one of the medications the veterinarian prescribed for him. All of a sudden Shadow was acting like he'd had a full pot of coffee plus a few shots of Red Bull and an espresso on top of everything! He couldn't get settled down and was pacing or flopping from one side to another. 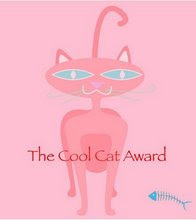 Even the other cat members of the family were targeted as Shad would hiss and spit at anyone going near him including his best-buddy Max. He even hissed and spat at me when I would try to pet him or get him to calm down. I knew the meds would work out of his system - confirmed by a night call to the vet - but nobody slept well with him walking all over the bed trying to find a comfortable spot to lay in. This included walking on my head at various times which became rather unnerving to me as I would just start to drift off and there he'd be. Poor guy! The next day you could tell he was fine but very tired. I think he slept for about 8 hours straight. So, we're back to a peaceable kingdom again...which means it's back to tearing apart the kitchen. 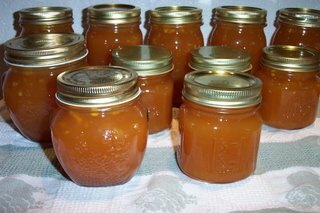 This is what I did today...it was raining out (in buckets) and I had promised Ralph and Ross, our Son-in-Law, some peach jam. I couldn't be outside playing with the sheep and the peaches were calling my name. As I made the jam, I keep trying to think of why I still did this. After all, it's just the two of us here - not counting the animals - and I could just as easily buy the jam instead of making it. The only answer I could come up with is that it's a Labor of Love. 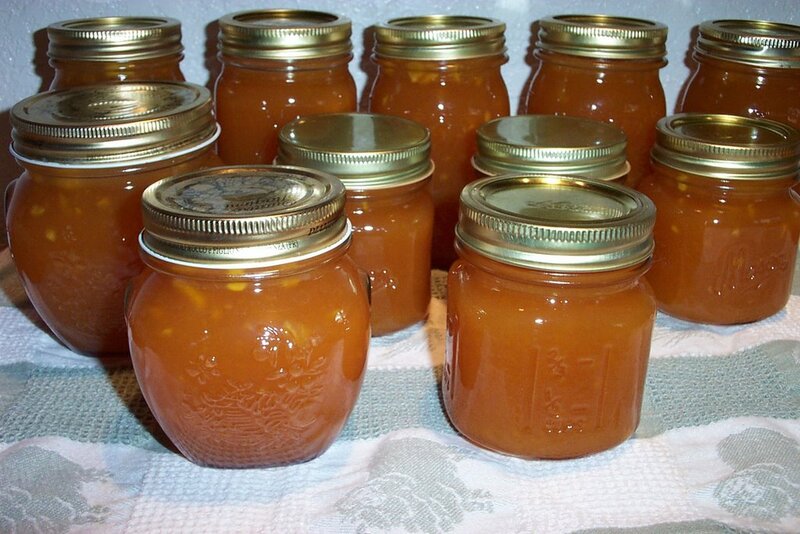 The pleasure I derive from it is not the peach jam itself, but the looks on the men in my life who love peach jam. So, this one's for you, Guys! Colin's Day Out..or...Boy, Do I Feel Like a Fool! 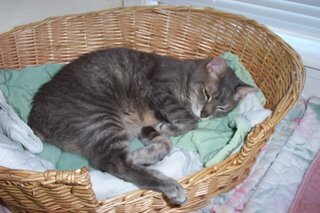 Today was the day that Ralph's buddy, Colin P. went to see the vet for a little "tweaking". Yes, Folks, Colin is now a wether! I loaded him up in the Spiffy Sheep Transport and off we went. Every once and a while I would hear Colin talking to all the vehicles we passed or passed us. We arrived at Dr. Rob's on time and I escorted him into the back of the office and popped him into a stainless steel cage for large dogs. To keep him from bleating everyone to death I stayed with Colin during the whole operation. Dr. Rob figured out the medications and gave Colin a nice sedative and off (literally) we went. :) Not only did the Doc give him a sedative, but a local as well. And while he was immobilized Rob was kind enough to lance a cyst the little guy had developed at the site of his last booster shot AND remove an ear tag that had become lodged towards Colin's ear canal. The only thing that wasn't done was rotation of the hooves and an oil change. As soon as he was awake and active we were on the road again headed for home. 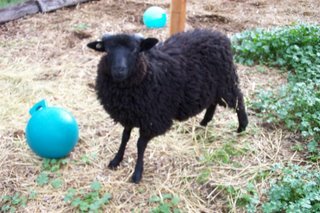 I had the option of putting Mr. C on an antibiotic and chose to do so as, in sheep, if there is one cyst they can develope cysts in other areas of the body as well making for a very sick sheep if you don't catch them. So, I opted to give him penicillan shots for 7 days. Everything was going great until about 4 p.m. when I checked the "surgical site" and spied a puffy piece of something that didn't look like it was supposed to be there. Ralph got home and we decided to take Colin back over to the vet and have him take a look. BUT, before we left it was time for him to get his second dose of antibiotic. I aimed for the muscle of his back leg (yes, Ross...in the Leg o'Lamb)...so far, so good. He moved a bit (Ralph was holding him) and "Bob's your Uncle" it was over. Except that Colin half crumbled from the shot and had trouble with that back leg. Come to find out, I had apparently given the shot very close or in the sciatic nerve. Oooo....not good. So Dr. 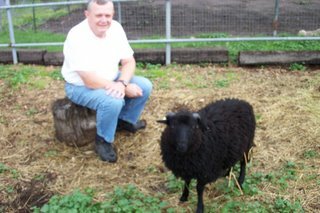 Rob gave Colin a shot of steroids to help the nerve settle down and with time he felt that the little lamb will be fine. This evening he was back to trying to walk on his joint instead of his foot, so I wrapped the foot and joint with bandage material to help the little guy keep it straight. Now I feel like a fool. I know it was the luck of the draw to hit that nerve just so, but that doesn't stop me from feeling so badly about making this day worse for the little guy. But I feel like I should be drummed out of the Sheep Corps. I hope Colin forgives me, but I don't think I have it in me to forgive myself. 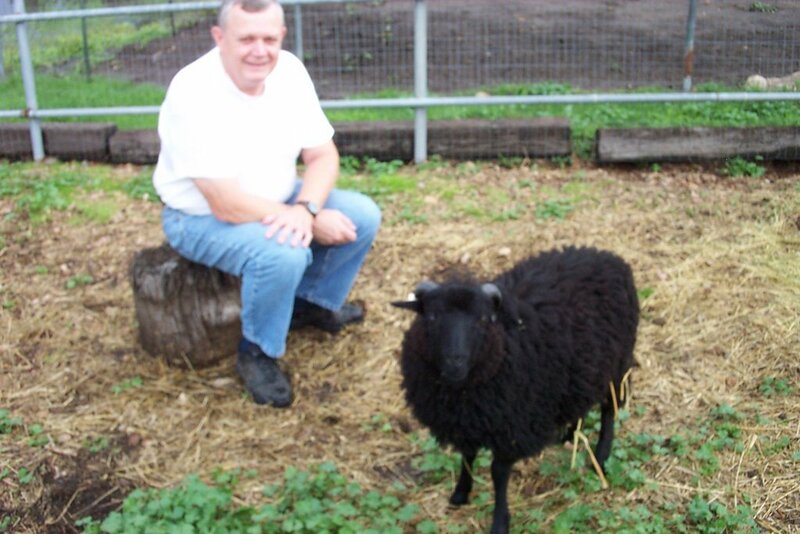 Today is the day that Mtn Niche Norman left us at Sheep Thrills Farm and went to live with Karen Clymer and her flock of Shetland "ladies". Karen has been without a ram for her girls for over two years and was just tickled to get Norman. 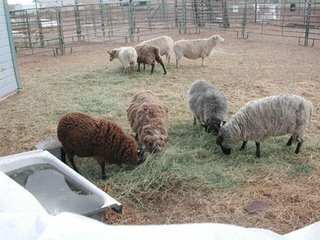 Karen also shows sheep and as we were loading Norman into a carrier in the back of her van she mentioned that she'll be showing Norman in this year's Yavapai County Fair. I was happy Norman went to someone who really appreciates what a good looking animal he is and that he looks like he'll turn out to be an awesome ram when he gets a little older! Other than Karen, I had seven calls from people wanting Norman. After meeting Karen, I knew I made the right decision. I know he will be well taken care of and will have the chance to keep his bit of the genetic pool going. 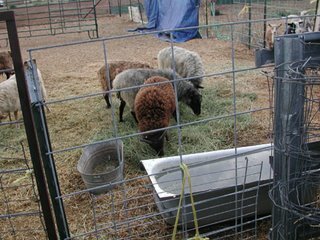 *Note: Norman is the moorit (brown) sheep in the pictures.